A huge thanks to Philip for bailing me out while I am postpartum these days. 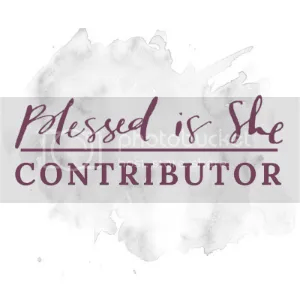 Guest posting is the new meal cooking for moms. Be sure to read all the way to the bottom so you can check out his awesome blog, Noiseless Chatter. Kids definitely have a tendency to fall in love with one particular film, television show or song, playing it over and over again (or asking to have it played over and over again), much to the increasing torment of parents. I should know; I tormented two of my own. Now that I’m older and wiser (or at least older) it’s a lot more clear to me that it doesn’t have to be that way. No, rather than let children gravitate toward whatever happens to be available at the time, and thus rolling the dice on whether or not your sanity gets gradually stripped away as they cue it up again and again, you can steer them in a slightly different direction, toward child-friendly entertainment that can still be enjoyed — and even loved — by adults. I’ve compiled a list of five such films below, and I’d certainly love to hear your own suggestions in the comments section below. Just a quick note before we begin: I decided to exclude Disney / Pixar films, for two reasons. Firstly, an entire list could easily be composed of those alone, and I wanted to include as much variety as I could. And secondly*well, you already have your own favorite Disney and Pixar films, so you don’t need me for that! Whichever one you already prefer, that’s the one to go with. Summary: When beautiful Pepperland is attacked by evil creatures known as Blue Meanies, only one experimental pop group can save it: The Beatles. In this impressively animated journey, John, Paul, George and Ringo pilot the titular submarine through fascinating and varied environments, age in reverse, engage in musical warfare, and serve as curators for some of the most creative animation the industry has ever seen. Kids will love it because: There really can’t be enough said about how lovely the animation is in this film. It’s vibrant, colorful, and continually unpredictable. While it’s unlikely that very young children will appreciate the sheer visual artistry of the movie, it’s certainly creative and exciting enough to keep them engaged. It’s one of the best “magical journey” films ever made, and that’s saying something. Adults will love it because: Does this even need to be said? The soundtrack. Serving as a kind of greatest hits compilation for The Beatles up to that point, Yellow Submarine includes some of their best loved songs, and they’ve aged even better than the animation. 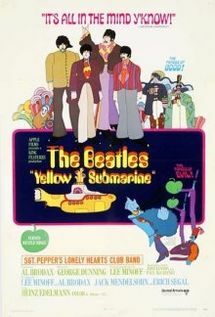 “All You Need is Love,” “When I’m Sixty-Four” and of course the title song are all great, bouncy tunes*but the fact that Yellow Submarine is suitable for children doesn’t keep some of the darker Beatles material from seeping through. “Eleanor Rigby,” “Nowhere Man” and “It’s All Too Much” offer some more contemplative fare, and give the film a tonally complicated feel*much like any of The Beatles’ actual albums. Summary: Five lucky (or not) children are chosen at capitalistic random to enter the chocolate factory of legendary recluse Willy Wonka. Once inside they find an edible wonderland of surprises*but the tour for each of them lasts only as long as their good behavior. It’s a musical film that’s as much a feast for the eyes as it is for the mouths of the lucky (or not*) kids within, and it’s aged beautifully. Willy Wonka & The Chocolate Factory is an enduring classic for a reason. Kids will love it because: The movie has retained every bit of its magic and majesty through the years, making the initial reveal of just about every room on Wonka’s tour a real event. The foods and contraptions encountered along the way are uniformly brilliant and really do spark the imagination, and there’s a brisk enough pace that kids aren’t likely to become bored before the film ends. Adults will love it because: Gene Wilder’s performance is incredible. 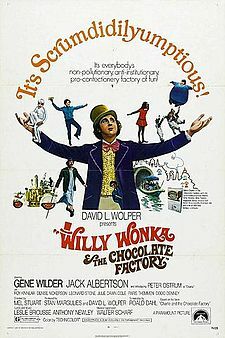 While Willy Wonka could have turned into a live-action cartoon character, what we have here instead is a rich and complex characterization that never quite lets the audience know what’s going on inside of Wonka’s mind*effectively pulling us along for the same confusing and confounding tour that the children in the film are on. Wonka is also an obvious fan of wordplay and subverted culture, which are two things kids aren’t likely to pick up on but which go a long way toward making the movie rewarding to adult eyes. Summary: Kermit the Frog, Fozzie Bear and Gonzo are investigative reporters, but they spectacularly miss out on a breaking robbery because they’re too busy reporting on themselves. In order to atone for their mistake they travel to London in order to crack the case, and end up embroiled in a much larger game of thievery, double-crossing, and terrible drunk acting by Charles Grodin. 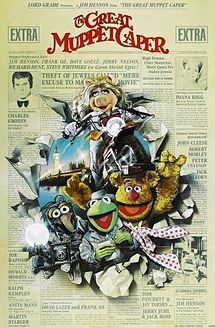 Kids will love it because: Kermit and the rest of the Muppets are fantastic creations, feeling more real — oddly enough — than most of the characters encountered in other children’s films. With expressive faces, brilliant voicing and incredible puppeteering, these creations of felt and ping-pong balls become relatable friends that kids will absolutely relish their time with. Adults will love it because: I could have included any of the Muppet movies here, really, but I chose this one because it has a stronger narrative that pulls it forward, giving adults something to enjoy beyond Muppets-doing-silly-things. There are also great cameo performances by stars that children are unlikely to recognize (unless your toddler is really into Columbo), along with some genuinely clever meta gags that break the fourth wall and challenge the conventions of film-making in general, which means that a good deal of thought went into the parents who might be watching the movie, too. Bonus: As I said, all of the Muppet films are great, so if your child enjoys any of them, the odds are good that they’ll want to see more. If they’re fans of Sesame Street, you can move onto Follow That Bird next. If they’re curious about who the Muppets are, try The Muppet Movie. Under no circumstances show them The Muppets Take Manhattan, though, because that has the song “Saying Goodbye” in it and you don’t want your kids to see you cry like that. Kids will love it because: Pee-Wee is a grown-up who can do anything he wants, but is never expected to behave like an adult. That’s every child’s fantasy right there, and Paul Reubens does a great job bringing the character to life on screen. While there’s not much depth to him there’s a roster of great ancillary characters that he meets on his journey, which means he always has new people to interact with, annoy, and eventually run away from. They’re also likely to enjoy Danny Elfman’s bombastic score, which elevates carnival music to an artform. 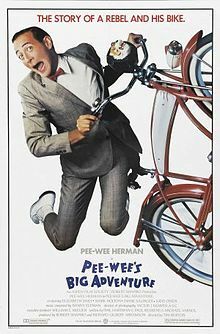 Adults will love it because: The script (co-written by the late Phil Hartman) is surprisingly clever, which keeps Pee-Wee himself from becoming too much of an irritation, and the American travelogue evokes a genuine wanderlust. Whether he’s riding in box cars with hobos, hitching rides with Large Marge or dancing on a bartop to the sound of “Tequila,” Pee-Wee’s having fun and it’s massively infectious. Bonus: Later Tim Burton films might also appeal to your child, depending upon their age, so this can be a great gateway to his twisted mindscape. Watch these movies before you sit your son or daughter down in front of them, though*Burton has macabre streak that can often catch you unaware. In particular, avoid his remake of Willy Wonka. Not because it’s macabre*just because it’s absolutely terrible. Summary: Animated film star Roger Rabbit hires flesh-and-blood detective Eddie Valliant because he suspects his wife is cheating on him*and she is. (Don*t worry*she’s “cheating” on him by playing Patty Cake with another man.) Eddie eventually gets pulled into a much larger case, concerning civil unrest between humans and ‘toons, with a sinister judge played by Christopher Lloyd who is all too willing to rid the world of these hand-drawn characters forever. Kids will love it because: The mix of live-action and animation is done very well, and every child will enjoy seeing human beings interact with the likes of Bugs Bunny, Betty Boop and Mickey Mouse. There’s an obvious wackiness to the situation, but it generates some surprising tension along the way, and that’s likely to keep kids engaged in the plight of the ‘toons. Adults will love it because: Jessica Rabbit. 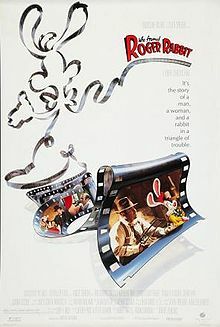 I loved Who Framed Roger Rabbit? as a child!!! I’d love to see it now. You know, it’s funny the things you forget when you haven’t seen a movie in a long time! Thanks for compiling this list. These include some old classics that are hard to find and watch at present.